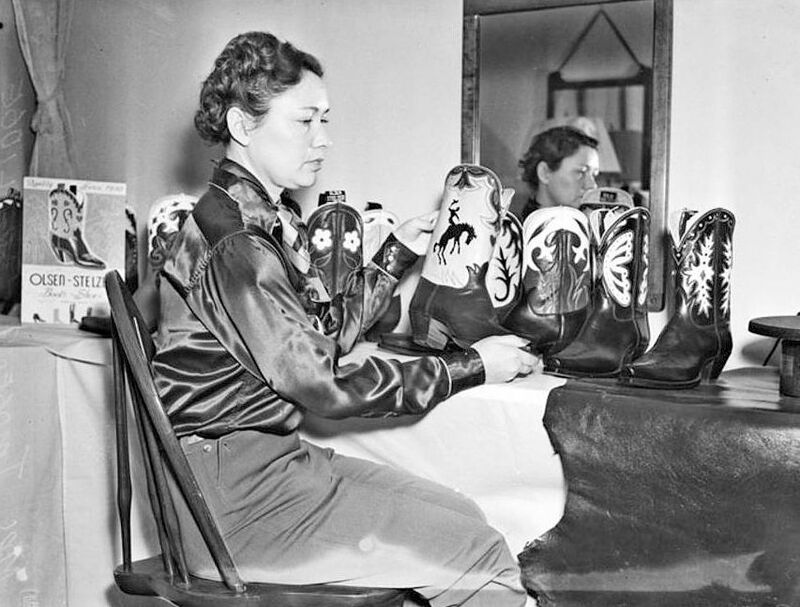 Dallas resident Imogene Cartlidge at a shoe retailers’ convention in San Antonio in 1939. 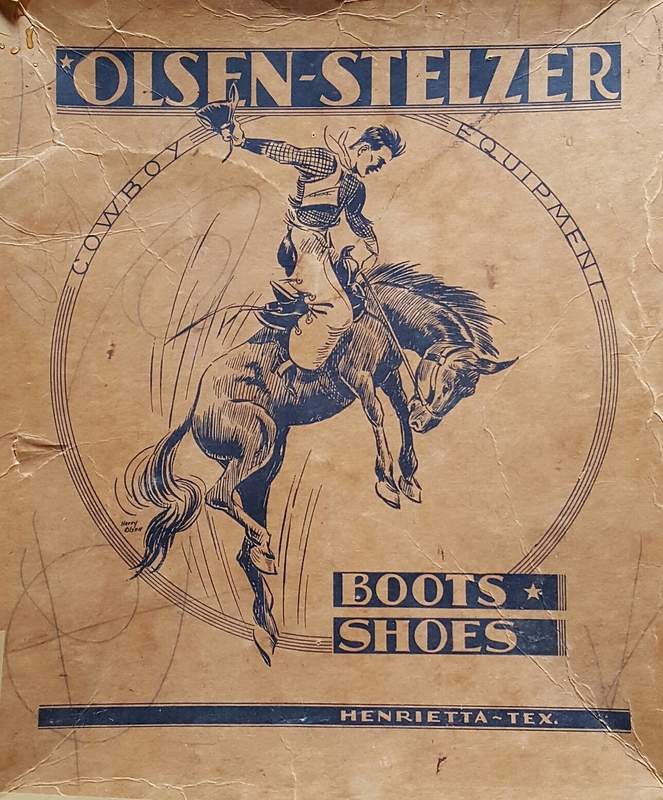 Cartlidge was an employee of the Olsen-Stelzer boot company in Henrietta, Texas, and she was said to be “the only woman boot salesman on record.” I’m a big fan of cowboy boots of this period, and I have to say that I am ashamed that I was unaware of the famous Olsen-Stelzer company, which lasted from 1900 until the 1980s. The company is back in business again, led by Tom Cartlidge, whose parents began selling the boots in 1938 — Imogene is his mother. I wish them all the best of luck, because the world needs as many great-looking cowboy boots as it can get! “The West begins at Titche’s”? First I’m hearing of this. Who knew? Nice ad, though. The video can be found on the home page of the Olsen-Stelzer website here. The history of the company (and, again, that great video) can be found here.